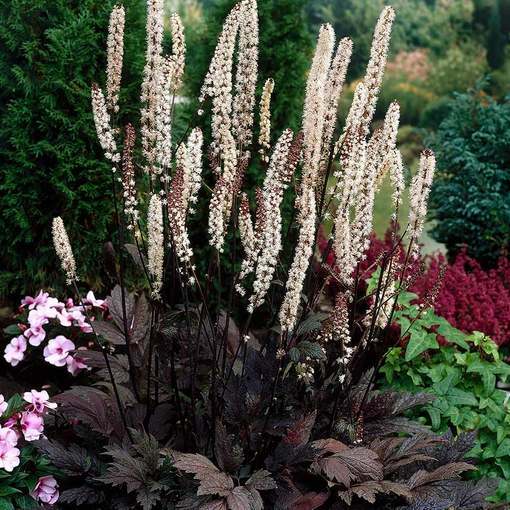 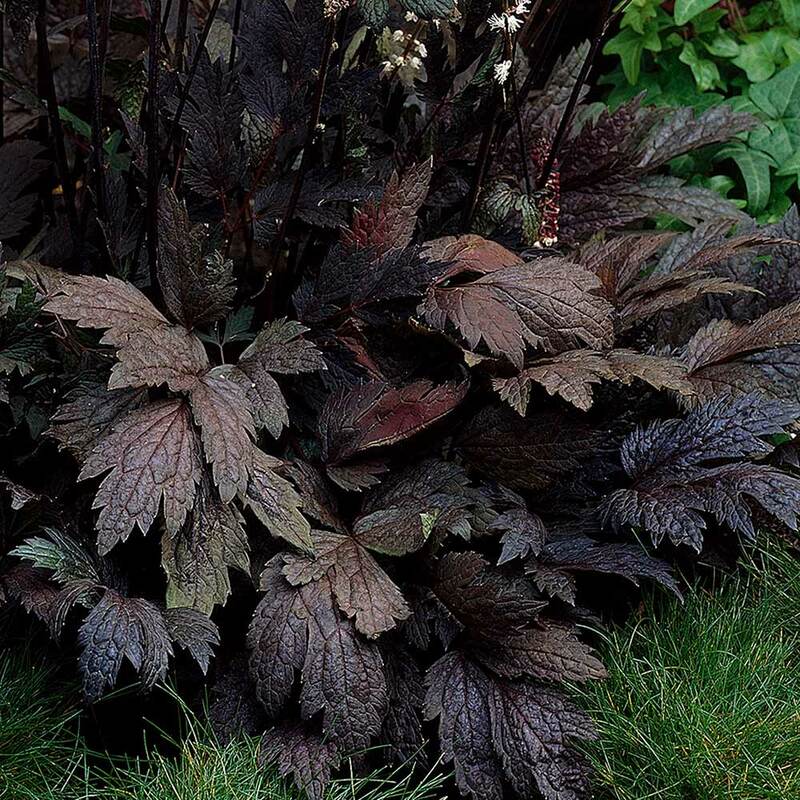 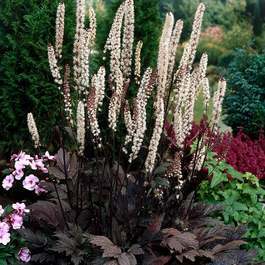 Dark chocolate brown-purple foliage is contrasted with beautiful white fragrant flower spikes that appear in late summer/early autumn and last for weeks. 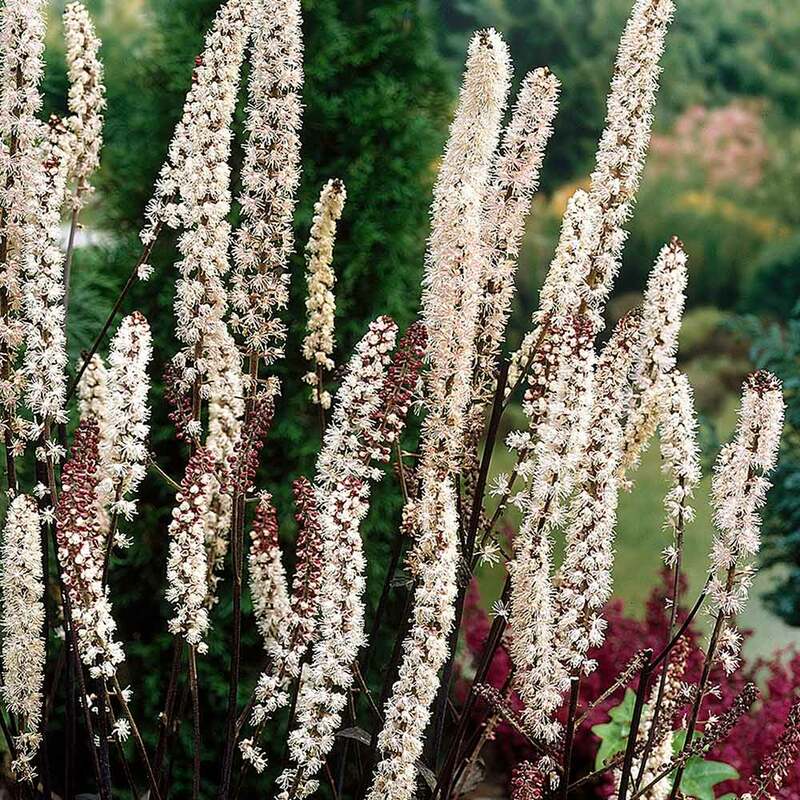 Lovely upright habit at a height of up to 1.5m. 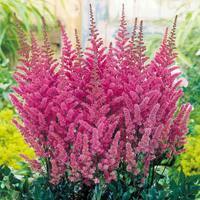 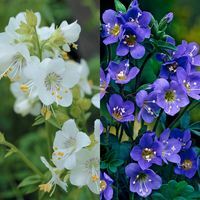 Supplied as bare rooted plants or in a 9cm pot. 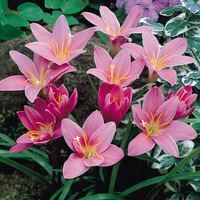 How Supplied Supplied as bare rooted plants or in a 9cm pot. 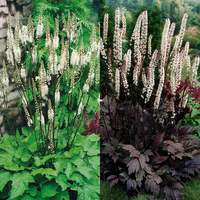 Supplied as bare rooted plants or in a 9cm pot.